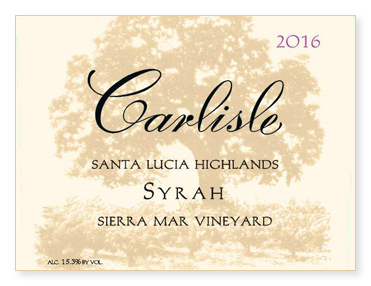 From one of the most beautiful vineyards in Santa Lucia Highlands, Sierra Mar was picked on October 1st at 25.8 Brix. Rather than fermenting the two selections of Syrah (Alban 1 and Alban “Baby Block”) separately, they were fermented together with 25% whole cluster for added complexity. Twenty days on the skins. All French oak, only 22% new. Bottled unfined and unfiltered. And good news! We have 50% more of this delectable wine than last year!